"The DISC training we had with Jo was fantastic. We tripled our conversion rates in the 6 months after Jo's workshops ." DISC helps you to understand YOUR behaviour style, your strengths, your weaknesses and how others view you and enables you to adapt to others so you communicate in the way THEY want to communicate. Help you get the best out of your team. Teaches you how to motivate each of the profiles. Improves conversion rates - the way you sell to each profile is very different. Improves management skills - the way you manage each profile is very different too. Improves team morale. As your team learn why each of the 4 profiles behave in a certain way, it helps them to develop tolerance and respect for each other. Workshops available: 1/2 day or full day. DISC for Sales, DISC for Managers, DISC for Team building. "Jo took a real interest in understanding every part of our organisation, before making a recommendation on what and how she would deliver. She has worked with all members of my team, as well as myself to ensure that we are working together for a common goal. We've gone from a dysfunctional team thinking that we all knew each other, to one where we all work together - work is now a pleasure rather than a chore. 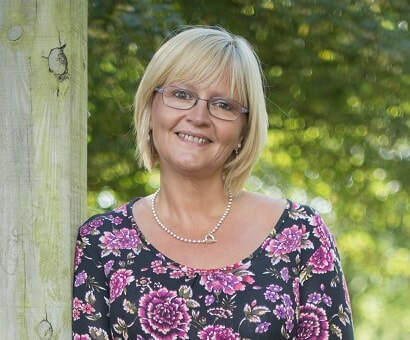 On a personal note, Jo's on-going support and guidance has had such an impact on my own life." "People do not buy goods and services. They buy relations, stories and magic"